Facebook is seemingly the world’s most famous social network. Due its worldwide achieve, marketers and advertisers have perceived Facebook’s potential as a marketing tool to reach new and existing clients and therefore have think of new and inventive methods for coming to their intended interest groups. This statistic gives data on the most famous popular brands on Facebook, positioned by number of fans on the social network. Brands are able to measure their receptivity through likes, comments and shares on Facebook. 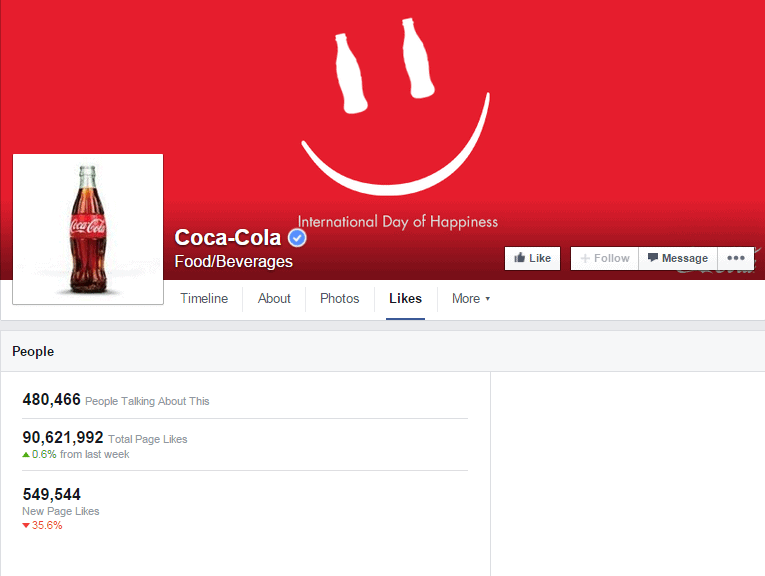 Coco-cola is Facebook’s most-liked pages, with 90.6 million fans on the social network. It hold 11th position with more than 33 million likes on its facebook page. 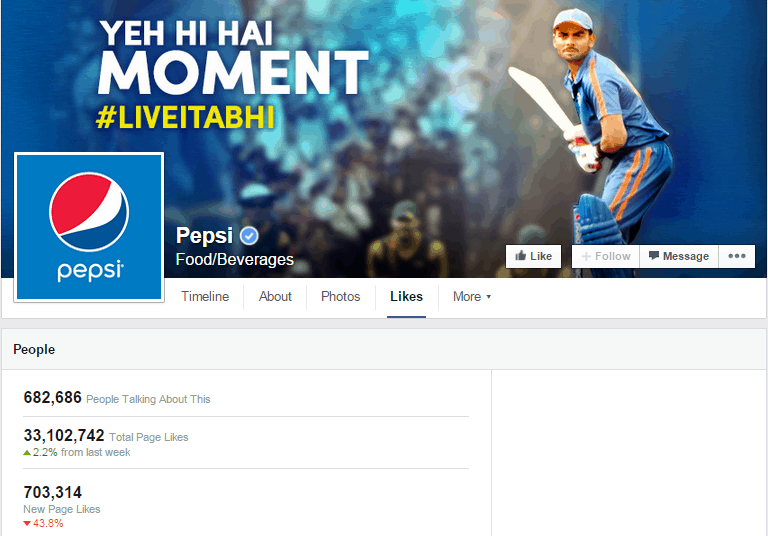 Pepsi’s do a better job of posting fresh content and responding to fans comments. 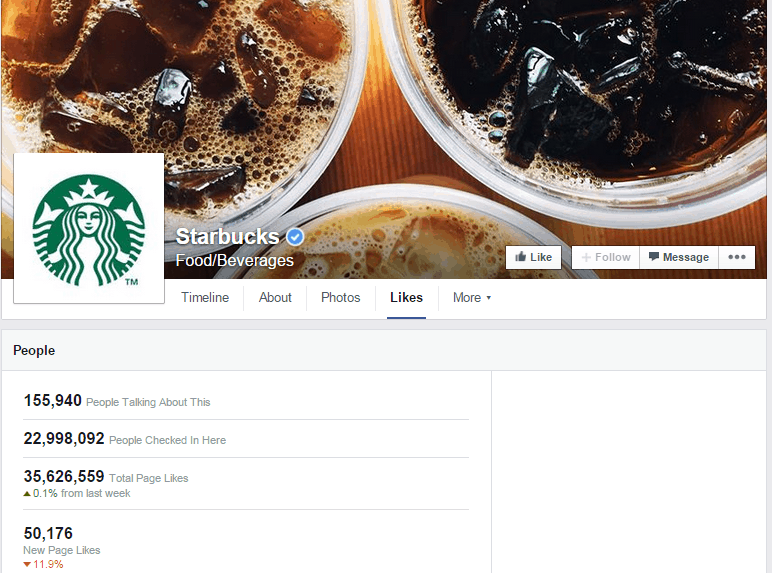 Starbuck’s Facebook strategy is to develop meaningful and relevant relationships with customers both inside and outside the retail stores. It’s use of imagery to promote its products and it use of Timeline to highlight its history means that the page is content rich. You can find a Starbucks on every corner, but that hasn’t stopped the coffee giant from expanding their brand and engaging with caffeine-lovers online. Starbuck’s Page has 35 million likes. PlayStation is a series of video game consoles created and developed by Sony Computer Entertainment. 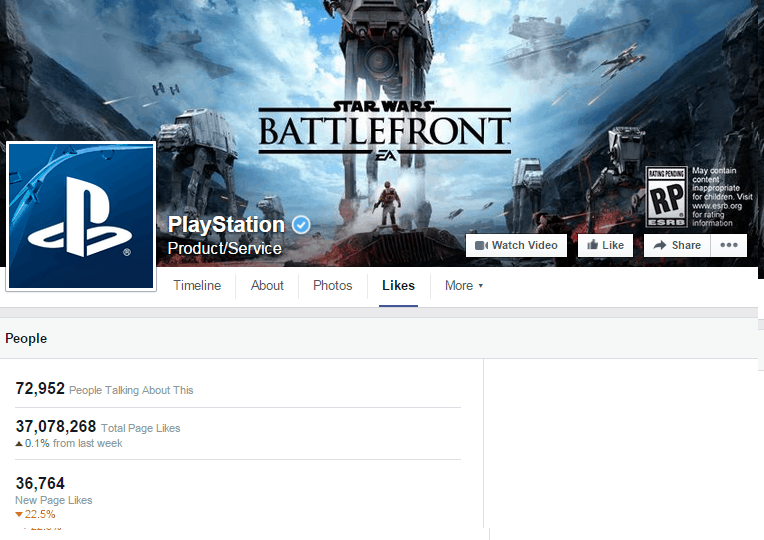 Official PlayStation fan page is source for information, insights, perspectives, and opinions on all things pertaining to PlayStation. PlayStation use their Facebook page to give their fans a glimpse of their latest games in the form of large, widescreen screencaps. Some really beautiful and striking images on show. 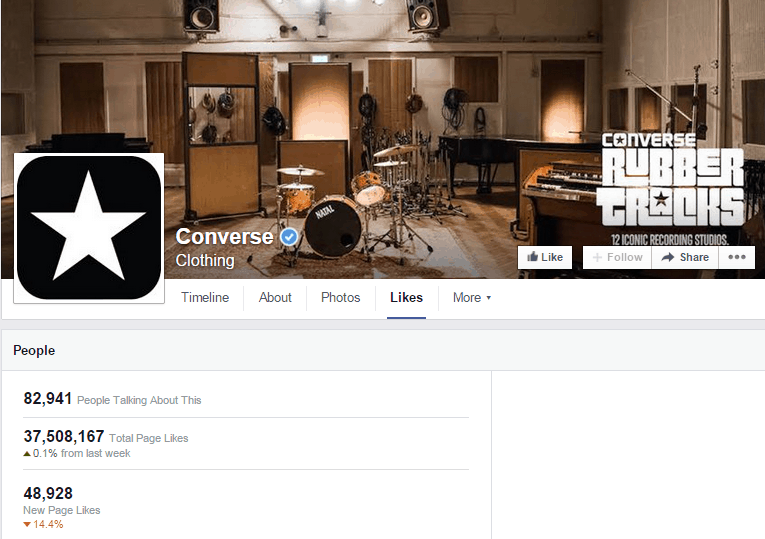 Converse Facebook page as an exclusive channel for revealing new products is a great way of driving traffic to your ecommerce site, retaining interest in that particular channel and increasing engagement. Converse is the perfect party guest, a good listener, funny, smart, and never boring. Which is exactly the company’s approach to Facebook. They want to see and hear what the fans have to think and how they use the product. 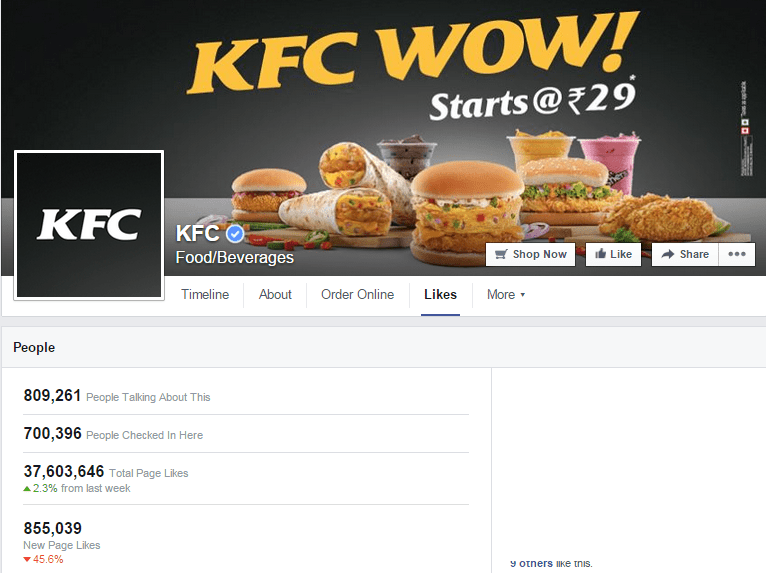 KFC Facebook page is extremely high on interactions with customers and is even used as a medium to educate their customers with new product offerings, discounts and other schemes. It is also used as a medium to solve customer grievances. The brand is high on product oriented content. Online ordering facilities are being promoted on social media which is a smart move. Samsung is a South-Korean multinational company headquartered in Samsung Town, Seoul. For over 80 years, Samsung has been a leader in the discovery, research and development of Consumer Electronics and Mobile Phones. 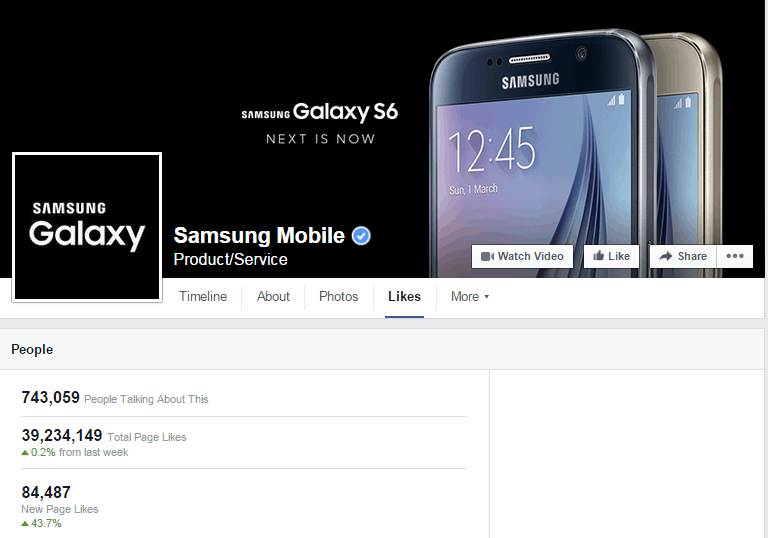 Samsung Mobile Facebook timeline is a place to discover the latest news and share stories about Samsung Mobile phones, tablets and devices. Oreo has become the best selling cookie in the United States since its introduction in 1912. Oreo’s strategy is to mix fan generated content, such as the photo above, with call-to-action posts that will drive comments. This Oreo Facebook page is a fun, family-friendly community where people can share their passion for Oreo,and where Oreo can interact with those who love the world’s favorite cookie! 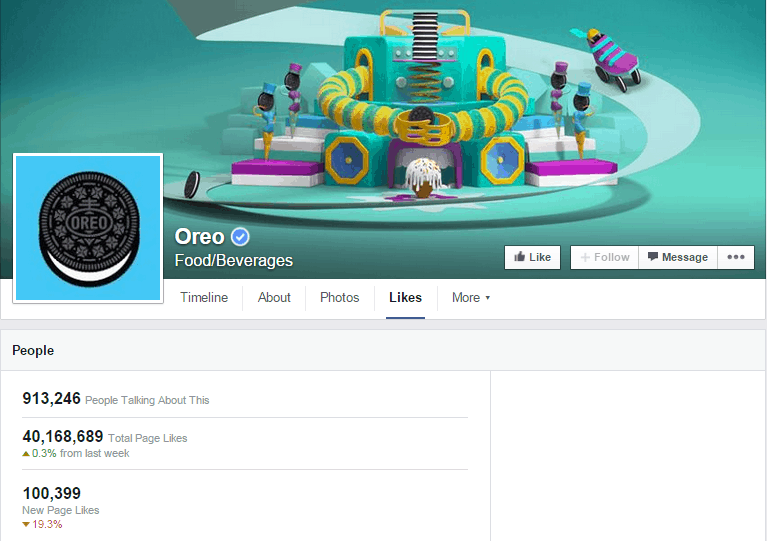 With close to 40 million fans, OREO has devised a Facebook strategy that revolves around creating bespoke content that people love to share. Bringing innovation and inspiration to every footballer and soccer player worldwide. Fans of the page were then given access to the players journey from amateur to professional. 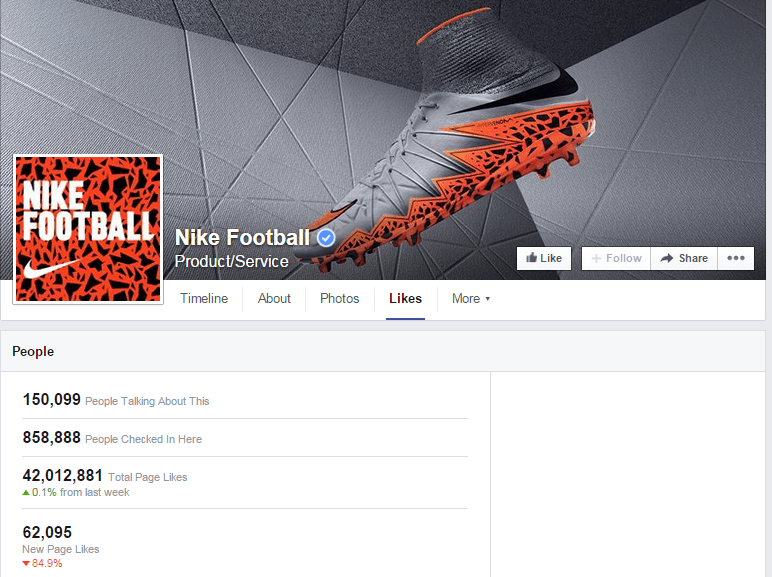 Nike Football has received more than 42 million fan likes on its Facebook page. 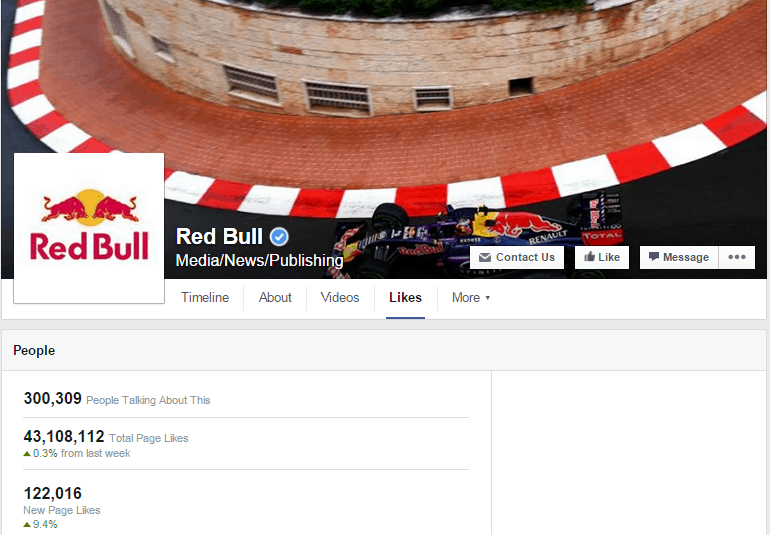 Red Bull is more than an energy drink, it is a content-generating machine. Red Bull’s strategy is all about catching your attention, often with celebrity athletes and high-profile event sponsorships. Red Bull Energy Drink is a functional beverage providing various benefits. Its effects are recognized throughout the world by top athletes, busy professionals, college students and travelers. An action brand whose cover photo accurately portrays the brand’s extreme sports persona. Its updates reflect this with numerous action shots and videos. 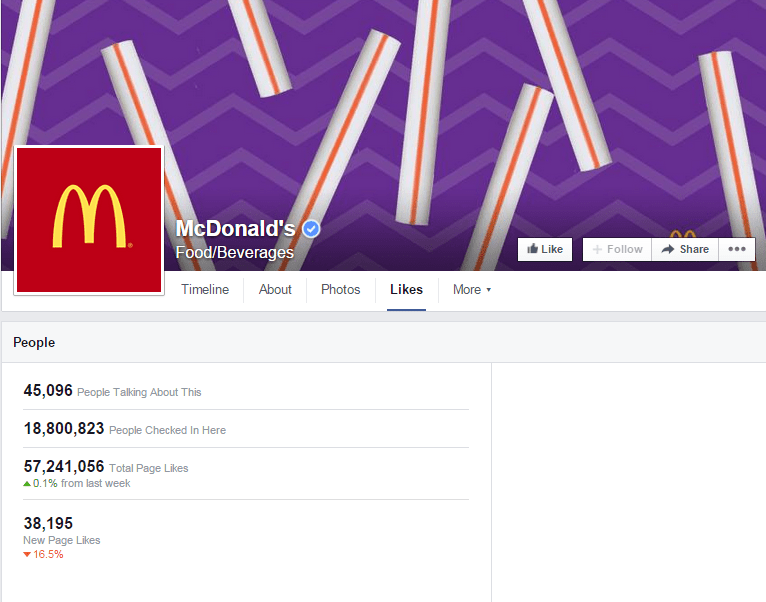 The McDonald’s Facebook page drives most of its traffic through promotion of recent sponsorships and campaigns with videos and dramatic images. McDonald’s is the world’s leading global foodservice retailer. More than 80% of McDonald’s restaurants worldwide. The purpose of the McDonald’s Corporation fan page is to give you, our fans, a place to learn what’s going on at McDonald’s around the world. The Coca-Cola Facebook Page is a collection of stories showing how people from around the world have helped make Coke into what it is today. Coco-cola landing at the number 1 spot in the rankings. Coca-Cola tends to feature in lists like these and it’s easy to see why. The page is cheerful and sharp, and the different tabs and photos come together to create a nice, bright design.Coca-Cola is received more than 90 million likes on its Facebook page.